Here at UCLA, we are the engine for real-world advances in the physical sciences that positively affect our lives in so many ways. Our research serves as the basis for discovery and innovation, and stimulates our state, national and global economy in the process. 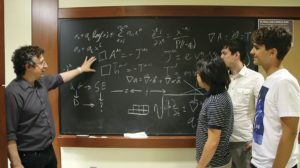 Our world-class reputation for excellence in teaching and research is bolstered by collaboration all across campus among researchers in the life sciences, medicine and engineering. Maintaining UCLA’s position as a world leader in the physical sciences is of the utmost importance in order to reap the benefits of our research and speed the pace of discovery, for the benefit of all of society. Yet state funding for UCLA continues its downward trend, and there is renewed urgency to invest in UCLA physical sciences. I have identified four philanthropic priorities that, with your generous support, will enable us to expand the boundaries of knowledge and continue educating the most promising young scientists who will make the groundbreaking discoveries of tomorrow. Your gift, regardless of its size, will have an impact, so I hope you will consider investing in the faculty, students and research of the UCLA Physical Sciences. Support for the life-changing research being conducted in our laboratories, and the programs open to our students. UCLA Physical Sciences Dean Miguel García-Garibay is dedicating resources to inspire others to give by extending the Physical Sciences Matching Gift Program aimed at significantly changing the future of UCLA Physical Sciences through endowed support during The Centennial Campaign for UCLA. 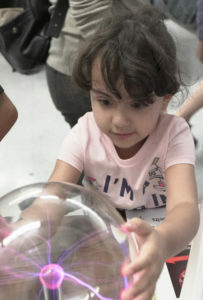 Through June 30, 2019, qualifying gifts of $100,000 to $1 million to all Physical Sciences endowments will be matched at 100%. For example, a $500,000 gift will become $1,000,000! Gifts eligible for matching funds must support new or existing endowments. and centers (pending appropriate approval). There are limited funds, which are available on a first-come, first-served basis. 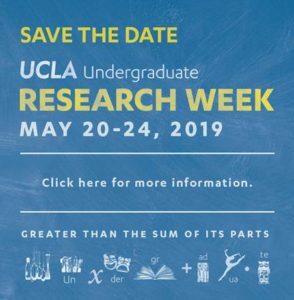 Contact Brooke Sanders 310.794.9045 or bsanders@support.ucla.edu to discuss specific details about this exciting opportunity to double the impact of your gift to UCLA’s Physical Sciences. Giving to UCLA Physical Sciences is as unique as the alumni and friends who make these contributions to our students, faculty, programs, and resources. Avenues include annual gifts, endowments that live on in perpetuity, corporate matches, foundational grants, and bequests or other planned gifts. Our Development staff welcome the opportunity to talk about your giving plans. Feel free to reach out to them to begin a discussion about leaving your own legacy as a Physical Sciences donor.